Should you offer full price for your Fort Collins dream home? When I meet with a new client and discuss the home-buying process, I generally give the client an overview of the real estate market. If you haven’t been following the real estate market in Fort Collins, CO for the past year, let me sum it up for you: it’s a seller’s market. The Months Supply of Inventory (M SI) is about 3.7 and 6.0 is considered a balanced market. Right now the market will absorb the current inventory in 3.7 months, meaning there are more buyers in Fort Collins, CO then there are homes for sale. 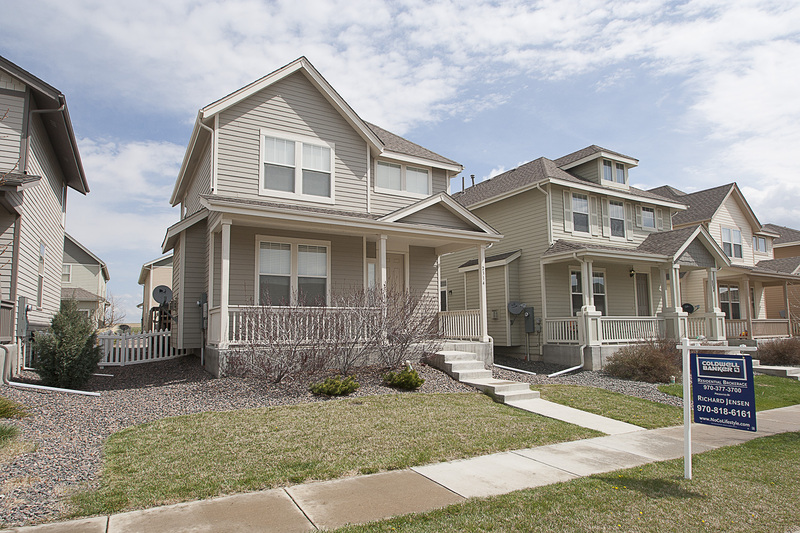 The May Housing Report published by the Fort Collins Board of Realtors® (FCBR) shows that homes sold within 99.0% of the list price in April 2013, and for the 2013 calendar year homes have sold within 98.6% of list price. So should you offer full price for your dream home? It amazes me that there are buyers in today’s real estate market who still operate under the “I’ll offer 10% less than list price and see if they take it” philosophy. Sure, you can offer less than list price, but keep in mind that sellers are receiving multiple offers, so do you really want to lose out on your dream home? Obviously there are checks and balances to make sure you are not paying too much for a home. When a professional real estate agent lists a home he or she should be doing a Comparative Market Analysis (CMA) to evaluate recent sales and help the seller to determine a realistic list price. Your buyer’s agent should also be preparing a CMA for you so that you can see recent comparable sales before you even make your offer. Finally, if you are obtaining traditional financing, your lender will hire an appraiser to determine the value of the home, ensuring that the lender does not lend too much against the property. Have you ever heard the phrase, “The numbers don’t lie?” Well the percentage of sale price to list price for homes in Fort Collins speaks for itself. If you would like more information about buying or selling a home in Fort Collins, reach out to me and we’ll chat more about it. Is Your Real Estate “Agent” Really Your Agent? The function of the Colorado Real Estate Commission is to protect the general public in real estate transactions. One of the most important requirements of a licensed broker is to disclose to a client how the licensee is working on behalf of the client. The term “agent” is used for a licensee who is an advocate for the best interests of the client. This type of “agency” relationship requires a written contract between the client and the licensee. On the other hand, a “transaction broker” requires no written contract and the licensee merely helps facilitate a real estate transaction between a buyer and seller, without advocating the best interests of either party. So is your real estate “agent” really your agent? It’s important to understand the basic difference of how your real estate licensee can work for you in Colorado. In some states such as California, dual agency exists so a real estate broker can be an advocate for both a buyer and a seller. Dual agency is illegal in Colorado, meaning that if a licensee is an “agent” for one side of the transaction he or she cannot be an “agent” for the other side of the transaction. A licensee working with both a buyer and a seller must generally operate as a “transaction broker” and must remain neutral to both parties. One way to think of the broker-client relationship is to imagine yourself playing a soccer game, basketball game, or any competition that involves your coach and a referee. Think of the game as a real estate transaction. Your “agent” or coach is there to guide you, encourage you, motivate you, instruct you, and advocate your level of play to help you do your best in the game, hopefully resulting in an outcome or final score that you deserve. The “transaction broker” or referee is there to make sure both parties or teams are playing by the rules, protecting each party from illegal activities, and remaining neutral to the final score but making sure that game was played correctly. A real estate licensee can be either a coach for one team or a referee for both teams, but he or she cannot be a coach for both teams. The term “real estate agent” has been used so much in common language that the word “agent” almost becomes synonymous with licensed broker or licensee, but keep in mind that just because you are working with a licensee does not necessarily mean you are working with an “agent.” Most importantly, you should ask yourself how you would want your licensed broker to work for you! For more information about agency relationships or real estate in Colorado, contact Richard Jensen with Coldwell Banker Residential Brokerage at (970) 818-6161 or Richard@NoCoLifestyle.com. Well, it’s official. Coldwell Banker Residential Brokerage owned and operated by NRT, LLC has purchased what was formerly Keller Williams Realty of Northern Colorado. All real estate agents, including me, were notified on Thursday, January 10, 2013 of the new acquisition. A press release has been published in The Coloradoan if you would like more information. A merger between two real estate offices has a tremendous impact on the real estate agents operating their unique businesses within the guidelines and systems provided by the corporate entity. Agents have been faced with a tough decision of whether to transition to Coldwell Banker under new ownership, hang their licenses with another Keller Williams brokerage along the Front Range, or move to a different real estate brokerage all together. As the former Keller Williams office location will be the new home of Coldwell Banker Residential Brokerage in Fort Collins – and for various other reasons – I have chosen to operate my business under the Coldwell Banker national brand. This leads me to another important aspect of the Northern Colorado real estate business. I have found that people do business with real estate professionals based on their character, knowledge, integrity, and unique skill set. My clients continue to do business with me because they find value in what I bring to their real estate endeavors. And while it isn’t always about a brand name, it will be nice to have the brand recognition of a company that has been in business for over 100 years. Coldwell Banker Residential Brokerage operates more than 16 offices in Colorado and brokered over 9000 real estate transactions last year. With office locations throughout Fort Collins, Loveland, and Estes Park, Coldwell Banker Residential Brokerage is highly visible and positioned to assist mobile real estate agents in Northern Colorado. For more information about the Northern Colorado real estate market, or for assistance buying or selling your home in Fort Collins, Loveland, or Estes Park, contact local real estate agent Richard Jensen with Coldwell Banker Residential Brokerage.